After showing it off at CES 2018, Vivo has now officially launched the first smartphone with an in-display fingerprint scanner. 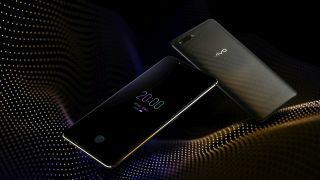 Called the Vivo X20 Plus UD, the phone has a sensor built into its 6.43-inch Super AMOLED display, which lights up with a fingerprint picture whenever you might need to use it – such as when authorizing a payment or logging into an app, while the rest of the time it just acts as another part of the screen. That in turn could mean completely eliminating bezels on the front of the phone – though in reality the Vivo X20 Plus UD still has slim bezels above and below the screen. Other features of the phone include a mid-range Snapdragon 660 chipset, a dual-lens rear camera with 12MP and 5MP lenses, and a big 3,905mAh battery, so other than its fingerprint tech it doesn’t sound like a match for the latest flagships. If you like the sound of the X20 Plus UD you might be out of luck, as so far it’s only been announced for China, and as Vivo has no presence in the US, the UK, or Australia, we wouldn’t count on seeing it in either of those places. This is a slight shame, since in our tests of the phone we were reasonably impressed with the scanner – it was a bit slower than a normal fingerprint scanner, but otherwise worked well. Vivo might have been the first to adopt the new feature, but we imagine it won’t be too long before some bigger name phones start implementing the tech.